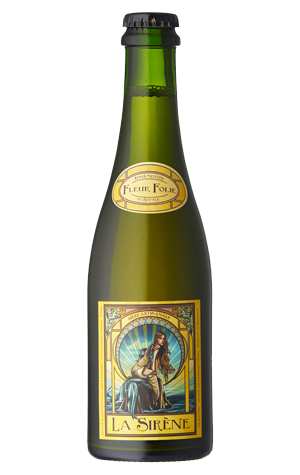 The Fleur Folie is La Sirène's step into Saison Miel territory, in other words honey saison. Its name means "blossom madness" although the beer itself is far from crazy. The leatherwood honey lends a soft honey sweetness to a beer in which the aromas are less about the lively floral fruits of the straight Saison and more about delicate pepper and spice. Alongside the soft sweet flavours are an earthiness from the hops before the beer wraps up with a tart dry finish.